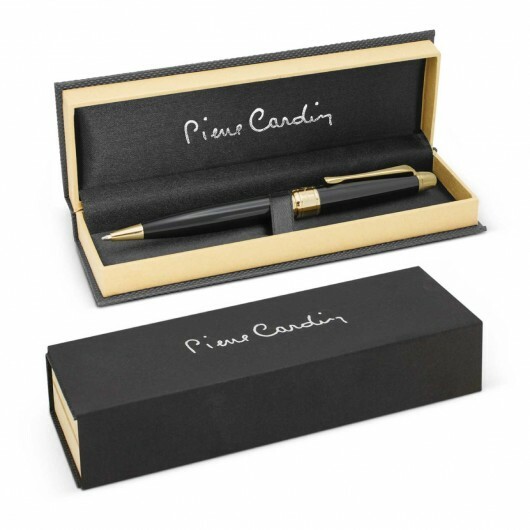 Prestige and quality exude these Pierre Cardin writing instruments. 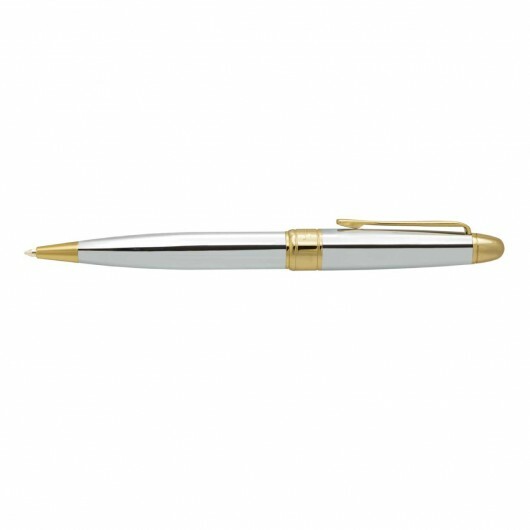 The Montfort is a premium writing instrument with an intoxicating design that is dominated by flowing curves. 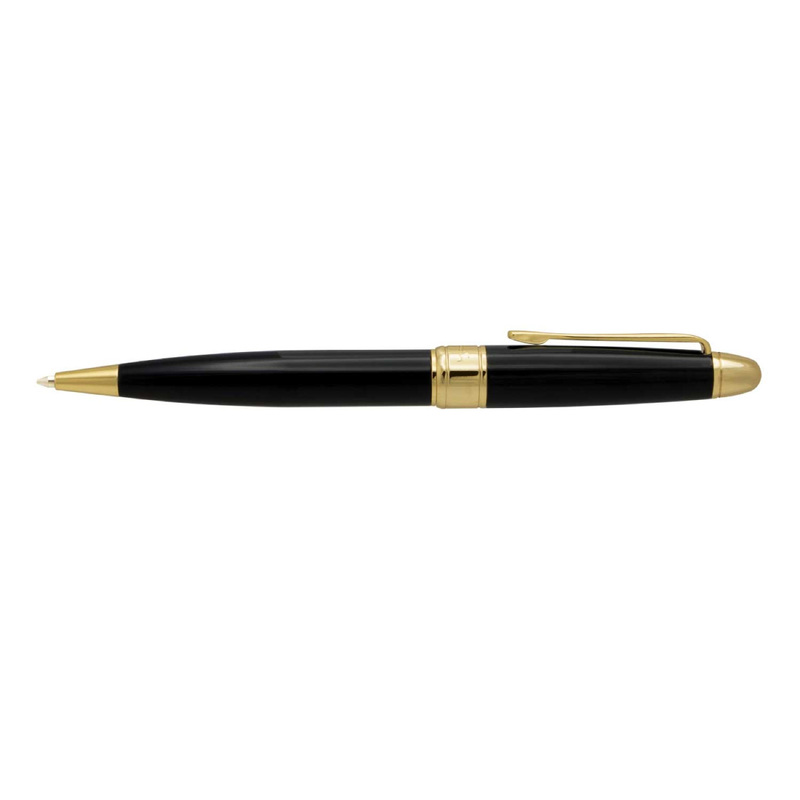 It utilises twist action functionality with a brass barrel that is finished in your choice of lacquered black with brass finish engraving or shiny chrome with natural etch engraving. It contains 4000m of high quality black German ink and utilises a tungsten carbide ball for improved writing quality. 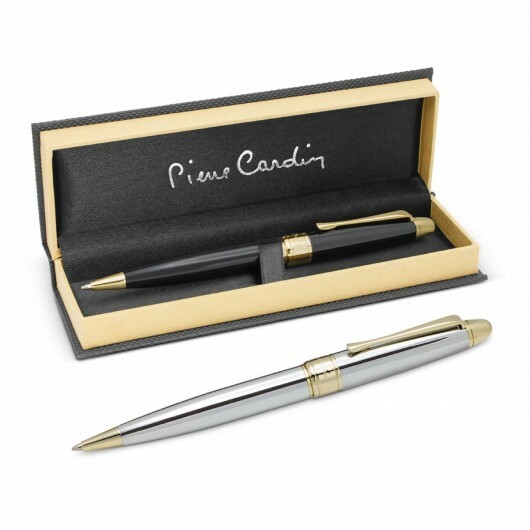 The Pierre Cardin logo is tastefully engraved on the centre ring and displayed on the gift box these pens come presented in. 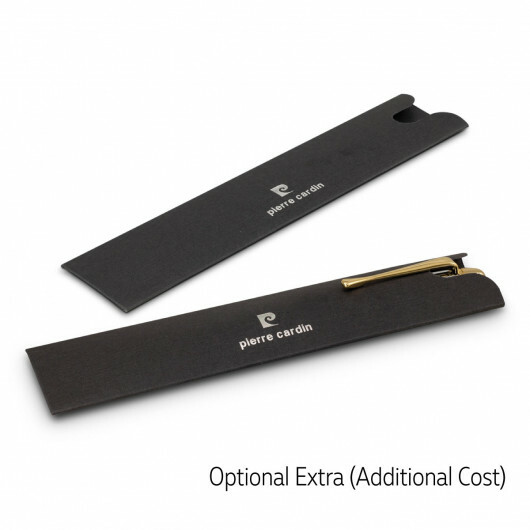 Optional velvet sleeve available for cheaper (price on request).